HP and Desktone have made strong market moves into the fast-growing desktops as a service (Daas) space, also know as desktop virtualization and virtual desktop infrastructure (VDI). These new products and services show an aggressive ramp-up and sophistication to deliver a fast-track to DaaS. HP and Desktone, among others, are banking on the down economy to whet the appetites of many kinds of companies -- and myriad uses -- for these far lower cost approaches for delivering full PC functionality without the full PC and local maintenance headaches. HP last week announced a novel new notebook-like thin client device, an entry-level price on mobile units to $550 (yowza! ), better WiFi support, and enhanced VDI client and server software. The 4410T mobile thin client, which looks just like a notebook PC, runs Windows Embedded Standard. The delivery of these new client devices comes on the heels of HP's recent advances in the data center software that supports them. That help the emphasis in the latest round of client announcements on faster and more complete start-ups, as well as better remote administration. Desktone, after teaming with NetApp earlier this month, last week announced two significant milestones. First, Desktone secured registered trademarks for the terms "desktops as a service" and "DaaS." Second, it launched improvements to Virtual-D, its hosted virtual desktop platform. Hmmm ... Seems to me I dropped that DaaS moniker on the Chelsmford, MA start-up almost two years ago. They seemd to like it then a lot. And now I'm sincerely flattered. Well, there goes some more free consulting -- validated, if not always renumerative. Of course, if they asked, I would have told them to add the word "cloud," as in cloud-based DaaS should be in there somewhere. It leaves open the public and private cloud delivery of DaaS for either service providers or large enterprises (or a federated approach of some kind). Oh, well, maybe Desktone's customers will use cloud as they brand on top of Desktone's DaaS picks and shovels. Before we dive into the improvements, let's look at the Desktone's newly minted, official definition of DaaS: DaaS specifically describes an outsourced subscription service for server-hosted desktops powered by the Desktone Virtual-D Platform and delivered by Desktone-certified service provider partners. More generally speaking, DaaS is a model that in many ways mimics software-as-a-service (SaaS), where software is outsourced to providers that offer applications on-demand as a subscription service. Desktone's DaaS lets PC users tap into virtual desktop computing with a Windows client experience that leverages existing data center infrastructure and network investments. Yep, sounds cloud-like all right. "There's been a lot of confusion in the marketplace about what DaaS really is," says Jeff Fisher, senior director of strategic development at Desktone. 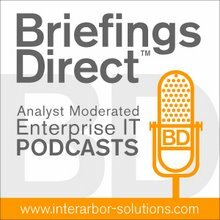 "Other vendors use the term differently, but we've trademarked these terms to describe the virtual desktop hosting infrastructure that allows our partners to deliver DaaS." Yep, could not have said it better myself, even if I already did. Of course, this probably means that Desktone alone with use DaaS from now on. Will be interestering to see if Citrix (a Desktone investor) and Microsoft (in the ecology, you could say) will begin using "DaaS" in their literature. So now that we know what Desktone means when it talks about DaaS, let's look at the "new and improved" Virtual-D. There are four new capabilities for service providers, including multi-tenancy, multi-data center and improved hosting economics. But perhaps the most attractive upgrade for its customers is the Virtual-D Service Center. Virtual-D Service Center is a single management Web console for service operators to create, manage and monitor many customers on common network, storage, and virtualization infrastructure. Fisher says this is what sets the product apart from the competition. On the enterprise front, Desktone just pushed out rapid service on-boarding, global language support and delegated administration. The goal here is to let enterprise admins upload virtual desktop images to their service provider's infrastructure more quickly – and in as many as 12 languages. Roles and permissions are also more flexible. Of course, Desktone isn't the only company vying or a slice of the virtual desktop pie. With IDC predicting market for desktop virtualization software will grow to $1.7 billion by 2011, the competition is heating up. The biggest challenge as Fisher sees it, though, isn't competitors. It's transforming the way users technically consume desktops. "In the DaaS model, people are consuming desktops from a service provider's cloud," Fisher says. "The question arises, 'Does it make sense to purchase desktop hosting services as a subscription and, if so, at what price point?' So there's a lot of TCO work to convince the market to flip to this model." Desktone, among others, are working to educate the market. In the meantime, the company is continuing to work on its software offerings. Fisher hinted at a new relationship that would bring critical technology to its platform in the third quarter. Could it be with IBM? Maybe Desktone should look at what HP is doing to get all that multimedia and the other mission-critical VDI capabilities to the DaaS cloud, eh? When it comes to IBM and HP, I'd say partner with both. Freelance IT journalist Jennifer LeClaire provided research and editorial assistance on this BriefingsDirect post. She can be reached at www.jenniferleclaire.com.